For generations, Mohawk Indians have left their reservations in or near Canada to raise skyscrapers in the heart of New York City. Like Oddo, most of the Mohawk crews working in New York City on Sept. 11, 2001, headed immediately to the site of the disaster. Because many of them had worked on the 110-story World Trade Center some three decades earlier, they were familiar with the buildings and hoped they could help people escape faster. Fires were raging in the towers and the ironworkers knew that steel weakens and eventually melts under extreme heat. They helped survivors escape from the threatened buildings, and when the towers came crashing down, they joined in the search for victims. 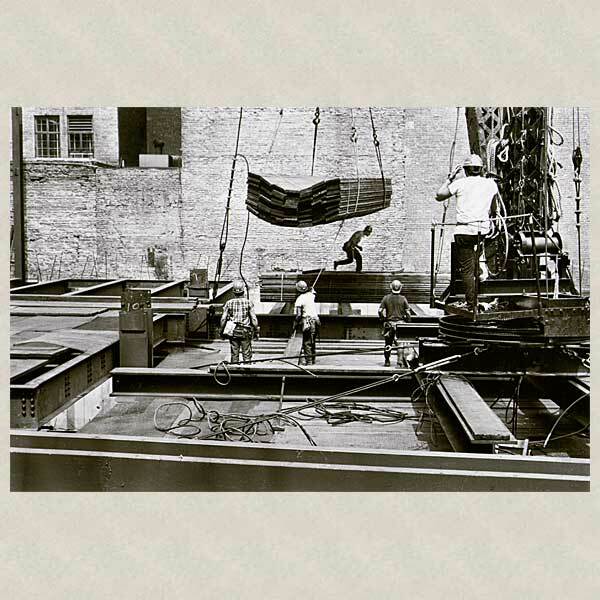 In the months that followed, many Mohawk ironworkers volunteered to help in the cleanup. There was a terrible irony in dismantling what they had helped to erect: Hundreds of Mohawks had worked on the World Trade Center from 1966 to 1974. 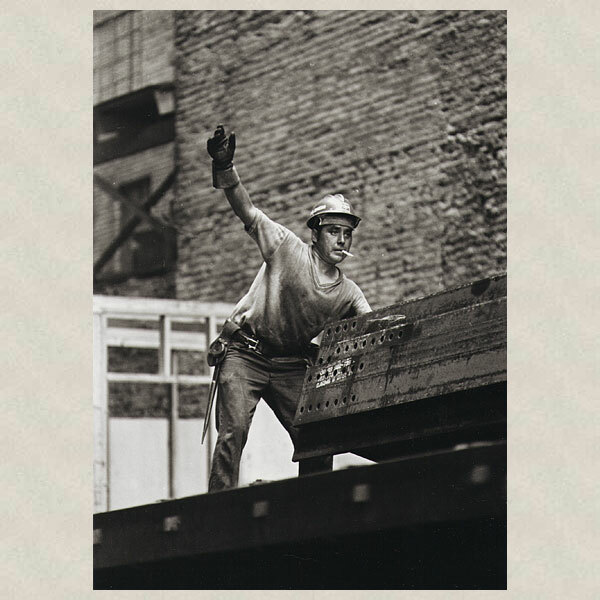 The last girder was signed by Mohawk ironworkers, in keeping with ironworking tradition. Mohawks have been building skyscrapers for six generations. The first workers came from the Kahn­awake Reservation near Montreal, where in 1886 the Canadian Pacific Railroad sought to construct a cantilever bridge across the St. Lawrence River, landing on reservation property. In exchange for use of the Mohawks’ land, the railroad and its contractor, the Dominion Bridge Co., agreed to employ tribesmen during construction. The builders had intended to use the Indians as laborers to unload supplies, but that didn’t satisfy the Mohawks. Members of the tribe would go out on the bridge during construction every chance they got, according to an unnamed Dominion Bridge Co. official quoted in a 1949 New Yorker article by Joseph Mitchell (“The Mohawks in High Steel,” later collected in the 1960 book Apologies to the Iroquois, by Edmund Wilson). “It was quite impossible to keep them off,” the Dominion official said. The Indians were especially interested in riveting, one of the most dangerous jobs in construction and, then as now, one of the highest paid. Few men wanted to do it; fewer could do it well, and in good construction years there were sometimes too few riveters to meet construction demand, according to the New Yorker article. So the company decided to train a few of the persistent Mohawks. “It turned out that putting riveting tools in their hands was like putting ham with eggs,” the Dominion official declared. “In other words, they were natural-born bridge-men.” According to company lore, 12 young men—enough for three riveting gangs—were thus trained. Then tragedy struck. American structural engineer Theodore Cooper had designed the Quebec Bridge, a cantilevered truss bridge that would extend 3,220 feet across the St. Lawrence River above Quebec City. Because the Quebec Bridge Co. was strapped for cash, the company was eager to accept his design, which specified far less steel than was typical for a bridge of that size. On Aug. 29, 1907, the bridge collapsed. Of the 75 men who died, 33 were Mohawks—about half of the tribe’s high-steel workers. But the tragedy didn’t turn Mohawks away from ironworking. According to an elderly Mohawk quoted in the 1949 New Yorker article, “It made high steel much more interesting to them. It made them take pride in themselves that they could do such dangerous work. After the disaster . . . they all wanted to go into high steel.” Less than 10 years later, the American Board of Indian Commissioners claimed that 587 of the 651 men in the tribe now belonged to the structural steel union. But to ensure that so many tribesmen were never again killed in one accident, the Mohawk women insisted that the men split into smaller groups to work on a variety of building projects. 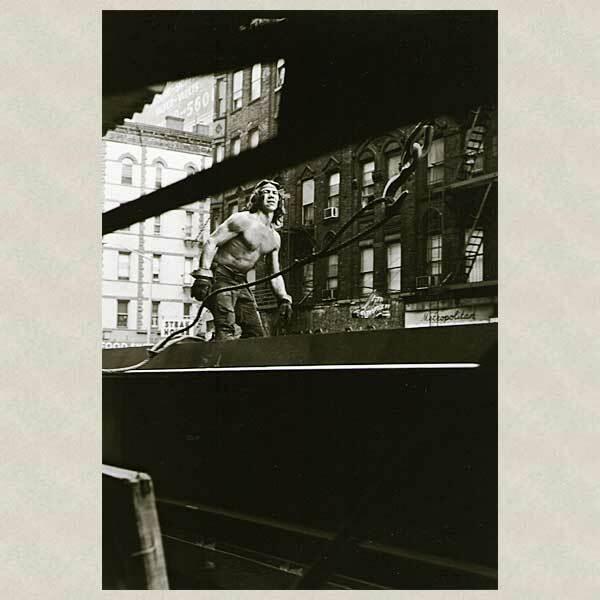 That’s when they began booming out—tribal slang for scattering to find high-steel work away from home, in New York City and other distant places. The steel columns, beams, and girders arrived at the construction site already cut to size with holes for rivets, and code marks indicated where each was to be placed. The raising gang used a crane to lift the steel pieces and set them in place, loosely joining them with a few temporary bolts. The fitting-up gang tightened the pieces, ensuring that they were plumb, and inserted more temporary bolts. Then it was time for the four-man riveting gangs, where the Mohawks excelled. Because of the dangerous nature of the job, riveters preferred to work with partners they trusted; for Mohawks, this meant relatives and fellow tribesmen. Renee Valois wrote about American mummies in the May/June issue of The History Channel Magazine. Why would people with deep traditions centered in the earth embrace the trade of building skyscrapers in a city, high above it? Indeed, for decades anthropologists, construction company executives, and even the Mohawks themselves have debated why the tribesmen originally became skywalkers and why they remain high-steel workers today. Anthropologist Morris Frielich suggests a cultural lure for ironworking: He compares high-steel Mohawks to warriors who risked death and returned with booty. Some anthropologists have also suggested that the risky work gave tribesmen a chance to test and display their courage. Responses to "The Mohawks Who Built Manhattan (Photos)"
Excellent! Thank you for telling these mens story! Great article and wonderful pictures! In cities on the eastern seaboard of Australia, the scaffolding is mainly done by Maori men from Aotearoa (new zealand), but our own Indigenous/Aboriginal men are less often able to make headway in any given industry, as a collective group. But we pray that if any such story as tall buildings coming down, will happen to us here, it will be because our men who work in the demolition industry have won the day. Blessings to the Mohawks their way. Thank you for this excellent information of the Mohawk men of steel and my gratitude for all that they due. Great story, thank you. Not many people know this in NYC, especially their involvement on 9/11/01. I'm proud to see my father, Arnold Goodleaf, in these photos. Thank you for sharing a living history that too few know. and workers. I reposted the article onto my FB wall so others could also learn of their valued accomplishments, and help during the 911 disaster. Thank you. Awesome. Must respect men who work hard to earn the pay. This is why we are Native Strong despite adversity! I was so happy to finally hear some good news about any Native Culture in our country doing something good instead of something bad all of the time. Am so proud of the these men who gave their lives; saved lives; and built something that other were proud to write about. Throughout the years/centuries, our Native peoples have "never ceased to amaze me". I'm proud to say all my brothers & father had the talent and the nerves for this type of job, along with all their native & non-native brothers, relatives,& friends. A job where their accomplishments were seen by many. Excellent article and proud to say my father is a Kahnawake Mohawk who worked 47 years as an Ironworker! Thank you so much for sharing this awesome story! It is always wonderful to hear a story from a native's perspective. As a young ojibway child growing up in Manitoba, my Dad told us of our brothers to the east and of their bravery. He called them "high riggers" and my uncles spoke of them also. It made us very proud!! Well done Men of Steel your Bravery knows no Bounds.xMaureen...Dublin..Ireland. My dad and brothers who, although Tuscaroras and not Mohawks, worked the high steel too. Have always been so proud of them - after this article, even moreso. YES to Tuscarora steelworkers! My Tusky uncle, Ted Wright [RIP], a steel riveter from Six Nations Reserve, as well as many Tuscarora cousins and family members have 'boomed out' for decades. Thank you for this wonderful post, on a solemn day that reminds us of our profound dependence upon one another. Nice tribute...I too recognize my father Roger Little Horne in these photos. PRIVILEGE TO BE NATIVE and proud of all our mohawk men. When these Towers were being constructed, I lived in a small studio apartment facing the towers.. I worked a grave yard shift in Jersey City at that time and when I got back to the apartment at 7am, I would see these Iron Workers already on site building.. I watched the towers rise, and was always told that the workers were all indian... Never was told what tribe... until now... Thank you to the Pendelton Woolen Company for this information, and thatk's to the courage and talent of these workers..
What strength in these "Mohawk" Steel workers as well as there families. More power to you! In minnesota we have the Como Zoo..does that help? Courage, simple courage. Knowing what they can do and doing it. Seems a native way, a survivors way. Maybe better even, continuity of survival to adapt and grow. With that, I wonder if there are any Mohawk iron workers that remember the massive rectangular tube of the concrete core cast inside the steel exoskeleton they framed. It was usually about 5-10 floors below the top, but the elevators ran inside it to exit at the top of the concrete cast tube housing the shafts, which ever, taller floor, that was. 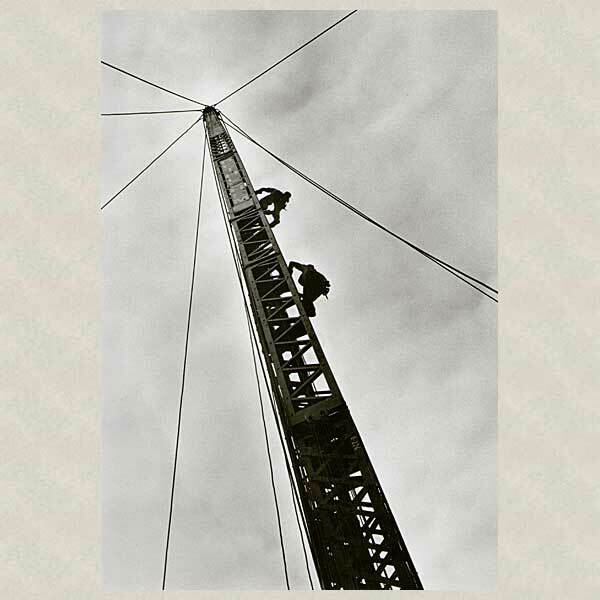 The iron workers had to climb temporary stairs with their gear that pierced the floors surrounding the core which did not yet have concrete on them. Any iron workers who do remember, are asked to write their recollections and email to elanuslecurus at lycos doot comm. Castenango would approve. My name is Tj Bronson and my given name is Chinaugua..Pronounced-Schi-nAh-gwa-Meaning: Raging Wolf of the Cheyenne/Aropoho Nation. I wrote the comment below. That sure is a lot of steel that blew away in the wind that day. I to was a ironworker, retired now. 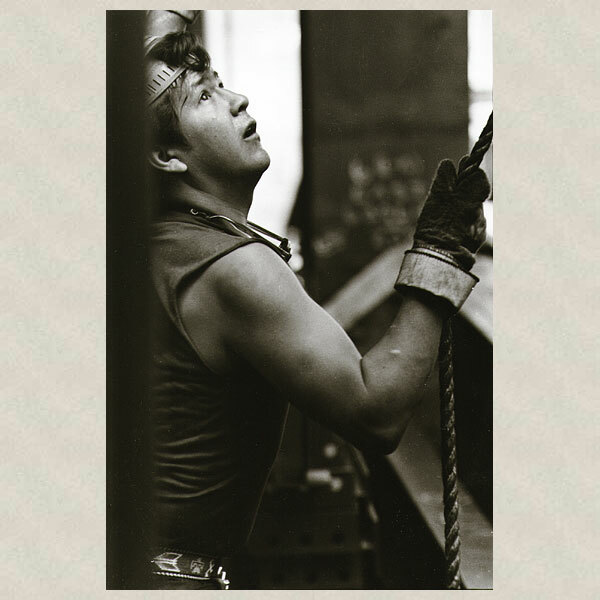 Seeing these pictures and stories of brother ironworkers made me very proud. Through the years I able to work along side of Mohawk Ironworker and they are truely the high iron walkers. Hon, niawen kowa for the great coverage of our Mohawk people walking the high steel. Mohawks WERE drafted into the Army. Many natives were drafted. My father, from Akwesasne, served in North Africa and Europe as a triple A gunner. The Mohawks walked steel in NYC long before the advent of the skyscrapers.The 1850 census shows my gggGrandfather there. 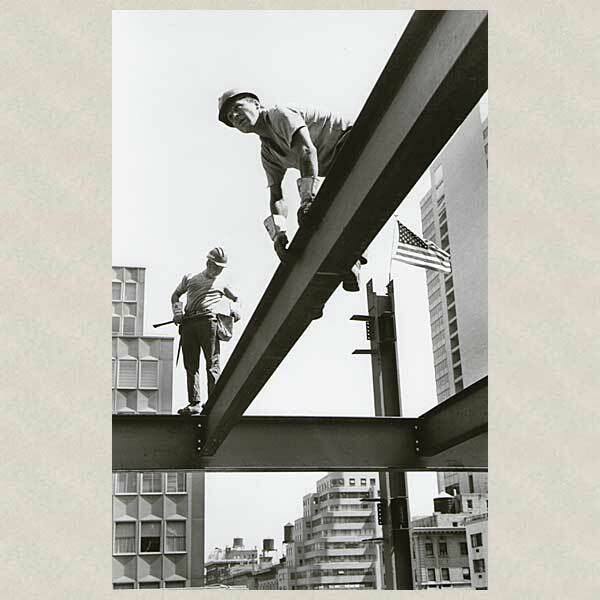 He went from being a Cooper to an Ironworker, building the first tall buildings before the scrapers went up. I honor his memory...Charles Edward Strang...niawen kowa Grandfather...and all the other courageous Mohawk men that continue to touch the sky! This country needs more positive accounts of Natives and what they contributed to this country instead of the constant 'negative' image of the Original Americans. courage, respect and family values all part of the Mohawk way of life and living. Great Article and great pictures ! My father-in-law , a native Mohawk, worked the bridges and skyscrapers for many years in Boston. He had several brothers who worked in NYC. Brave men. It's about time First Nation peoples got well deserved recognition for their contributions to their own countries' development.Keep up the flow of praise. Thank you for this story! Excellent!!! My tribe was here... THANK YOU for these pics..
An amazing story that deserves a wide audience. Thank you for sharing. Love this. My Dad was an Ironworker for Dominion Bridge Local 97 for many years. He has such fond memories of his time... building bridges, buildings, the original roof of BC Place Stadium. So many stories. I am so proud of him. A couple of my cousins are now Ironworkers. We are Interior Salish from British Columbia in Canada. 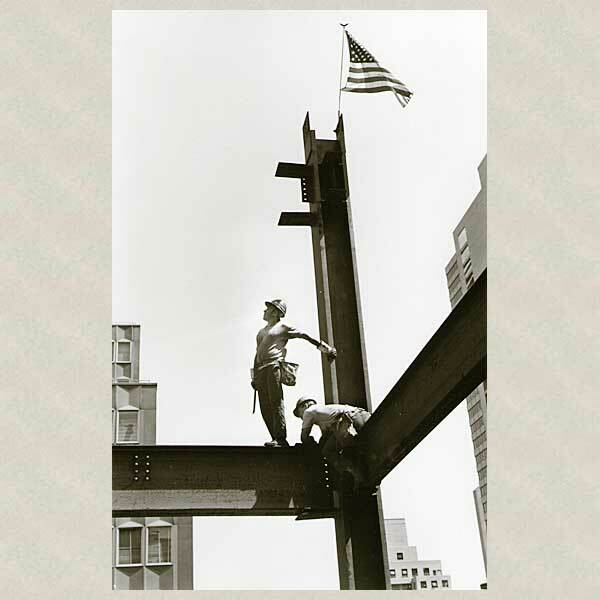 Much respect to all the Ironworkers out there, as well as their families. Awesome reading. Sometimes indigenous people just have the ability, capability to just be. it's in their essence of being. Some of the ironworkers and their friends/families who are also artists have been decorating their hardhats and this has become quite a respected art form. Anyone interested in further exploring these extraordinary workers might want to look into this growing group of artists and works. I'm sure a google search of Mohawk ironworker hardhats art or similar would give a good start. I've seen a few and they are wonderful! I am proud of all these men, but they were not only just Mohawk, my uncle Richard Buck, who was Cayuga Bear, worked on steel projects most of his life. He used to take his own crew until he fell but even after his fall, after he recovered, he still supervised his crew. great story bout real brave men with amazing pictures to show it ! very nice ! tomohawkman: Natives were not considered poeple until in the 1960's. So no they were not drafted, they had to sign away their Indian Statis Rights and then they could volunteer for Military Service.Point of Information! I too am very proud of my Mohawk Heritage, my military service( in peace time ) and my life in construction!! Luv this comment..just had to reply..thank you! Proud to be a Mohawk Ironworker! I saw the pictures of that period when the Natives were working in Manhattan and they were just about finishing the Empire State Building, people should know that they help build Manhattan from the beginning, and they built strong structures that should almost last forever, it should be taught in the History Books. Amazing how they used no protection planks to walk on. Not afraid of hights and balancing themselves working.. Nice pictures of memories!! I only wish there were a few more pics and more names given. Are there other articles or books on this subject?? I am told that my father was one of these workers during the late 50's early 60's. Proud but at the same time diaappointed as he never told his "home" family about me as I am the product of those that stayed in NYC but returned "home" to Kahnawake weekends and holidays. I'm sure there are many more same situation. A very interesting piece of history to read about. Thank You for sharing! May the Creator Bless the men who have passed ,also the men and their families who still do this work now. Thank you to the workers who went to the Twin Towers Sept.11,2001 to help all Nations of people in need of help. God Bless you All! Very proud to be Mohawk. My grandfather was an ironworker and many other family members including my Uncle Matty - who they called "The General". 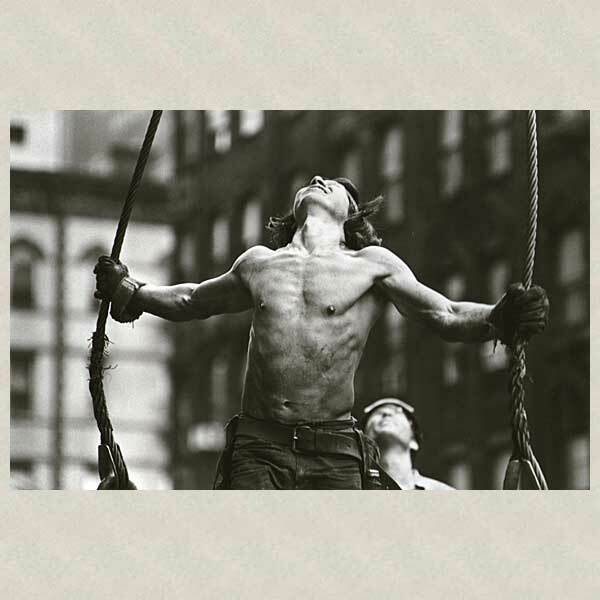 Natives were born to be ironworkers - they love that they do! My uncle - even at 70 or older was always wanting to go to work with his son Chad - who is also an ironworker - when he & my auntie cam to Brooklyn. 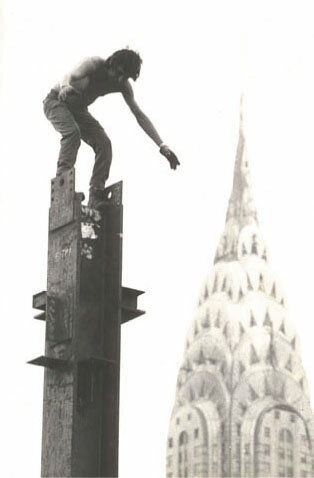 When 0/11 happened the native men as well as other ironworkers, firemen, paramedics & all that helped - are all heroes. I am so proud of my Iroquois Ancestry. Dad always said our ancestry made us unafraid of heights, I remember dad working on a dam way up there walking on high beams, helping to get other younger ones across, alot of men would not do this job. I remember him saying his boss saying whoever can walk across this beam can keep there job and there was dad in his 50's getting men half his age across that high beam. In 1974 I asked some Indians in Seattle about Indian high steel workers and they said that Indians did it because it was a good paying job that most whites did not want. It was there for the taking. Period. Mohawks… psssshhhht. Navajos built the atomic bomb & developed code that the Japanese never broke. So proud to be native. My dad was a Skywalker. Such an amazing and forgiving people. Their ties to our mother earth knows no bounds. Great people !!! A story of heroes! Fantastic! We are one. The more of us who realize this the better off we will all be. t is totally unnecessary to reject the Mohawks. They truly are a brave tribe of people. I am sure that all of our First Nations have many accomplishments to be proud of. My great respect and awe go to them. Nie:wen gowa to the courageous Skywalkers and for their contributions on Turtle Island!! But! I do know a few Haudenosaunee who are afraid of heights, but im not naming anyone from my family hahaha. o:nen! Grandpa John was a steamfitter who worked with these guys-Rockefeller Center..all hard working American skilled workers who built our country. Opportunity for a good wage is not listed in the discussion of reasons though such ideas as "natural ability, warrior history, etc." are. This conflicts with the fact that most people who have not had access to well paid employment usually go for it if they finally have a chance and bring family and their social network if they can. If we look at immigrants who came to the US to work, rarely do we say that certain ethnic groups were naturally better at digging ditches, factory work, etc. Excellent write-up! It was great 5o get a little history of the "high steel" workers. Thanks. I think that the fact that the Mowhawk religion and mythology centres on the Sky People and the Sky Woman probably has something to do with their ability to walk the iron. Lao Tsu's "Mysterious female" or "Spirit of the Valley"
A number of psychologists such as Adam Smith, Sigmund Freud, and George Herbert Mead, also posit the need for, and existence of an intra-psychic other but they rarely go into detail about where, phenomenologically this "Other" hangs out. It seems to me that the other may be logged in our first person, looking out of our eyes, allowing us to identify with our tiny mirror reflection. As first person, the Other is very tall, as tall as the sky. The Mohawk with their Sky People mythology may have become psychologically or spiritually aware of the Other (which is normally hidden) within themselves, and this may have enabled them to take a more rational or er 'down-to-earth' attitude to heights. I'm a RETIRED IRONWORKER (ND & CA) and FEMALE! Respect for hard working people !!! My great-great-grandmother Rachael was a full blooded Mohawk born in 1855 who lived in the Bronx among the sky walker family of Mohawks. Twenty years later she married my great-great-grand father James Park. At some point they moved to Rhode Island where she established a yearly family gathering for a clam bake. After she passed so did the gathering. Recently an Indian of a different tribe said the three feather necklace she wore meant she was a shaman. (Please note the attachment photo and the feather necklace she wore). That might be true in that Indian’s tribe but not so with the Mohawks. Could this be true? Also, the Mohawks had three clans: turtle/wolf/bear. If she was from the Bronx and the sky walkers lived would she have belonged to the wolf clan, or another? Is there a way to tell? Birk Albert: Alot of these "skilled american workers" that helped build your country came from north of the border. So happy these guys are finally getting the recognition they deserve! Lets hope the U.S. gov steps up and helps them with the health troubles that seem to be surfacing with those who rolled up their sleeves and dug in at 9/11. These people deserve to be looked after (first responders too) and not forgotten or swept under the rug. What incredible men they certainly got balls of steel. Older brother can be proud and history should recongnize him, tiawenkh. Very informative article. I now recall reading about these men in a grade six textbook back in 1991 or so, but wasn’t aware of the way that they had shaped NYC. I also didn’t know about the vital role that they had played in the 9/11 rescue effort, because of their knowledge of the structure and design of these buildings. More recognition is needed for their unique talents and the way that they have passed these through the generations. I grew up in Brooklyn with two Mohawk men who were cousins. They were both born between 1948-1952 and they worked on the original "twin towers" World Trade Center buildings. Their grandfather worked as a steel worker on the Empire State Building! These are amazing men, who were born to climb. My husband is one, he is Snohomish and Canadian Indian. Climes over Mountains, places where it is unthinkable for most people to go, the creator made all men with certain gifts, this is obviously one of them, but it is so easy to see the flaws instead of the strengths.